MINNEAPOLIS, Minn. -- The Benilde-St. Margaret's boys' hockey team celebrated its 2018-19 season with their annual team banquet at Jax Cafe, which has hosted the event for a number of years. 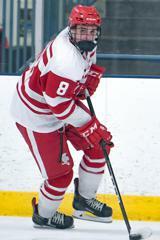 Junior varsity head coach Chris McGowan spoke about his team's season, in which the Red Knights finished 10-12-3. He then presented participation certificates to: Jake Hankinson, Ian Thorstenson, Will Hower, Nic Dokman, Charlie Johnson, Aiden Wahlstrom, Peter Keese, Charlie Frattalone, Simon Goodmanson, Sam Ryan, Logan Lyke, Mason Baldwin, Alex Bronkala, Jake Runman and Charlie Damberg. 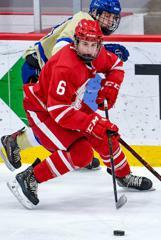 Head coach Ken Pauly recapped the varsity season, in which BSM finished 20-8-0 and reached the Section 6AA finals for the first time in five years. The Red Knights finished the regular season #10 ranked team in the state. Coach Pauly was voted Section 6AA Head Coach of the Year and Coach John Russo was voted as the 6AA Assistant Coach of the Year. Varsity letters were presented to: Blake Mesenburg, Jett Johnson, Adam Marshall, Jackson Bisson, Charlie Bischel, Charlie Warnert, Ian Bahr, Asher Connolly, Will Thompson, Jonah Mortenson, Jonny Woodford, Cooper Gay, Seamus Foley, James Callahan, Nate Schweitzer, Brady Yakesh, Tristan Sarsland, Jonnie Vitelli, Jack Olson, Carson Limesand and Brady Giertsen. Also receiving varsity letters were student managers Emma Paquette and Cole Zeman, and video assistants Anna Kocourek and Mia Siedel. The teams individual award winners were also honored. 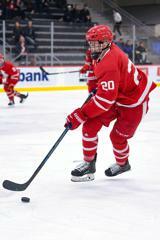 Bahr served as a co-captain in his third varsity season and earned the team's Hobey Baker Character Award. One of just three seniors on the 2018-19 Red Knight squad, Bahr recorded a career-best +14 rating while tallying five goals and 11 points. In leading a youthful BSM team, he opened the season with five points and 16 shots on goal in his first five games, which included a game-winning goal in a 5-3 win over Grand Rapids (12/1/18). 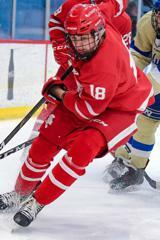 Bahr saw action in 74 games during his career, including all 28 games this season. He scored 16 goals and 33 points in those 74 games, which included five power-play and two short-handed goals. 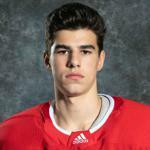 Bisson, in his first season at BSM, came in as a highly-skilled offensive forward but showed his complete game by earning the team's Best Defensive Forward Award. He won 50.3 percent of his faceoffs while tallying eight goals and 22 points on the season, tying for the team lead with three game-winning goals. Bisson closed out the season in strong fashion, putting together an eight-game point-scoring streak before being held without a point in the season finale. He had five goals, nine popints and was plus-seven in those eight games. 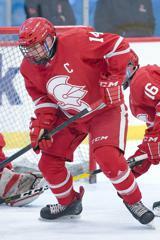 For the second consecutive season, Callahan played in every BSM game, giving him a streak of 54 consecutive games played. 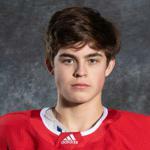 Named an assistant captain for 2019-20, Callahan earned honorable mention All-Metro West Conference honors this season after scoring three goals and 22 points, while posting a plus-19 rating. Over the final 11 games of the season, Callahan registered 14 points and 29 shots on goal and was +10 during that stretch. In his 54 career games, the sophomore defenseman has 30 assists, 34 points and 93 shots on goal. Two of his four goals have come on the power play. 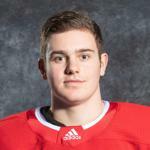 One of five defensemen who will return to the Red Knight lineup in 2018-19, Foley will do so with a "C" on his jersey as one of the team's three co-captains. The junior defenseman registered 10 assists and was a team-best plus-26 on the season, finishing with a plus rating in each of his last five games. He was a minus player in just three games and was a plus player in 19 of 28 games. Having played in all 54 games the last two seasons, Foley has two goals and 21 career points with both goals coming on the power play. Gay was honored as a co-winner of the 2019 Andrew Alberts Most Improved Player Award. 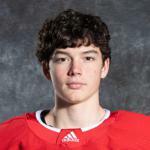 After a sophomore season in which he scored 13 goals and 24 points for the BSM junior varsity, making his biggest mark when he scored the game-winning goal, with two minutes, 36 seconds to play, in the Red Knights' 3-2 Section 6AA semifinal win over Wayzata (1/23/19). It was the highlight of a season which saw Gay score 10 goals and 17 points, with a plus-16 rating. 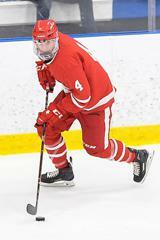 He scored a point in all three Section 6AA playoff games and had three goals and five points in the final five games of the season. 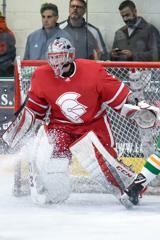 Limesand, in his second season at the Red Knights' number one goalie, earned All-Metro West Conference honors after going 14-8-0 with a 2.66 goals against average and an .891 save percentage. He moved into a tie for third on the school's all-time shutout list (8), sixth on the all-time saves list (958), eighth on the all-time wins list (25) and ninth on the all-time goals against average list (2.66). Mesenburg led the Red Knights in scoring and earned All-Metro West Conference honors as well as being named a team co-captain for the 2019-20 season. In his first season as a Red Knight, the junior center led the team in goals (23), points (49) and power-play goals (8) while tying for the team lead in assists (26) and game-winning goals (3). Mesenburg scored points in 21 of of 28 games and had a team season-best nine-game point-scoring streak (1/19 - 2/16). tallying six goals and 16 points during that time. He also tied for a team season-best six points when he registered three goals and three assists in a 9-2 win over Bloomington Kennedy. 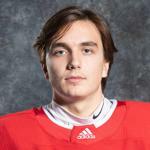 Not only did Mortenson earn honorable mention All-Metro West Conference honors, he was named the team's Jack Jablonski Most Determined Player. Mortenson's biggest moment was his pass which set up linemate Cooper Gay for the game-winning goal in the Section 6AA seminfal win over Wayzata (2/23/19). 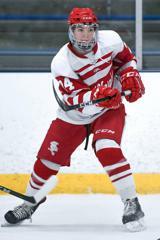 The sophomore winger also scored BSM's lone goal in the Section 6AA championship loss to Edina (2/27/19) as he finished the season on a six-game point-scoring streak with four goals, nine points and a plus-five rating. While playing all 28 games, he finished the season with eight goals and 20 points. 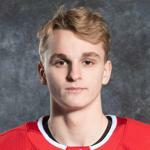 After representing the USA as part of the Select-17 national team at the Five Nations Cup and marking a verbal commitment to attend and play hockey, Schweitzer stepped up and had his best season with 15 goals and 41 points. Schweitzer will serve as a co-captain again next season after earning All-Metro West Condference honors and being named the team's Best Defenseman. For the second year in a row, he was also the recipient of the team's Scholar-Athlete Award for having the highest grade point average on the team. He registered 11 multiple-point games and tallied points in 22 of 28 games. He also led the team with 108 shots on goal. With 78 career games under his belt, Schweitzer has 22 goals and 66 points, with 11 of those 22 goals coming on the power play. He notching his first career hat trick, along with a career-best six points, in a 9-2 win over Bloomington Kennedy (2/16/19). 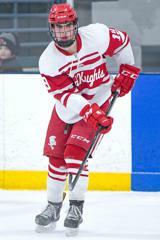 Sarsland, who made a verbal commitment to Colorado College after the season, was the co-winner of the team's Scholar-Athlete Award for having the highest grade point average on the varsity team. 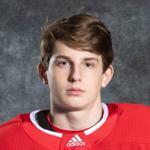 The freshman defenseman saved his best performances for the late season, scoring a goal and going plus-five in a 7-1 win over St. Michael-Albertville (2/12/19) and then had a season-high three assists and four points, while going plus-four, in a 7-1 win over Holy Angels (2/21/19) in the Section 6AA quarterfinals. 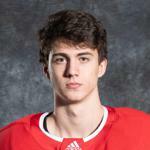 Sarsland finished the season with thre goals and 11 points while playing in all 28 games during the 2018-19 campaign. 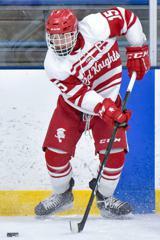 Will Thompson split time between the junior varsity and varsity for much of the season, but became a key contributor to the varsity squad late in the season and was the co-winner of BSM's Andrew Alberts Most Improved Player Award. Thompson saw limited action in six games during his sophomore season but saw ice time in 22 games this season, registering two goals, five points and 24 shots on goal. 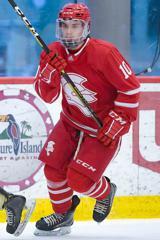 His energy and disciplined play saw him become a key member of the Red Knights' penalty-kill unit, a unit was killed opponents' power plays at an .817 clip. 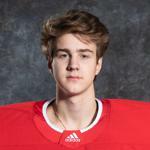 In his third varsity season for the Red Knights, Warnert was selected as the 2018-19 Vic St. Martin Coaches' Award winner. Warnert scored six goals and 10 points while playing all 28 games. He scored the game-winning goal in 4-2 win over Lakeville North (1/17/19) and scored twice in a 7-1 Section 6AA quarterfinal win over Holy Angels (2/21/19). 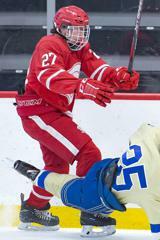 In his three varsity seasons, Warnert has 10 goals and 22 points in 74 games. His scoring totals this season, along with his 57 shots on goal and plus-seven rating, where all career highs.